Looking for some Christmas serving ideas? Download our menu suggestions. 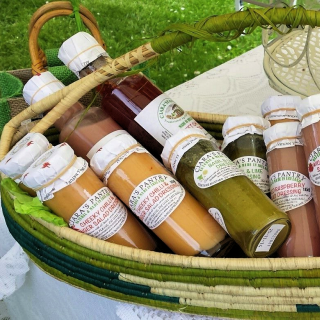 Dress any salad with bold and adventurous salad dressings, that will liven up any salad and make every day a salad day. 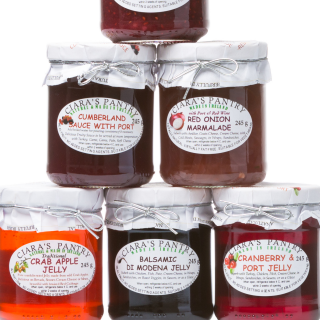 Traditional methods produce the sweet and savoury jellies, which in the past were considered one of the crowning glories of the dining table, because of it’s versatility and convenience. 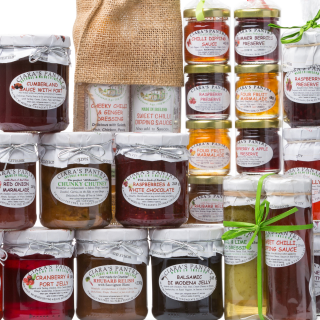 Preserves are made in the old fashioned open pot, in small batches, to maintain the quality and flavor. 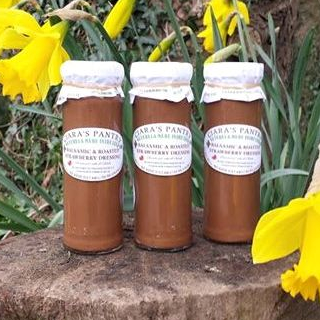 A range of chutney’s will delight you and warm up any winter’s evening with a classic balance of sharp and sweet and together with the warmth of spices will remind you of open log fires, Christmas, and days gone by, and will leave your taste buds tingling all year round. A totally addictive experience. We're constantly looking for stockists who share in our philosophy of quality foods using locally sourced natural ingredients. 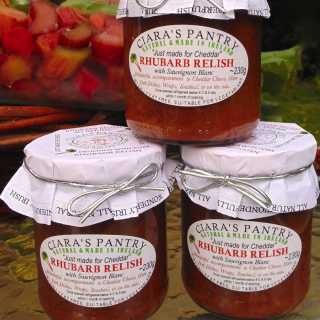 At Ciara's Pantry, we fervently believe that using natural ingredients sourced in our locality produces mouth-watering tastes to compete with the best food-producing regions. Using local ingredients produced with Nature's best intentions helps to boost our agri-food industry and protect local jobs. 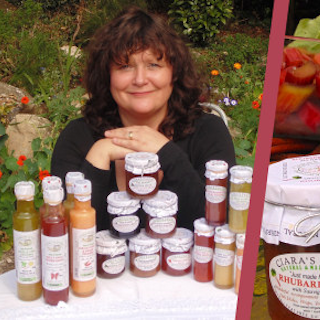 If you'd like to help us put the South East on the gourmet map by stocking our products, please call us today! 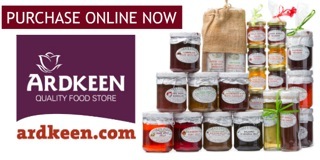 The stockists listed below are committed to good food. Join us!